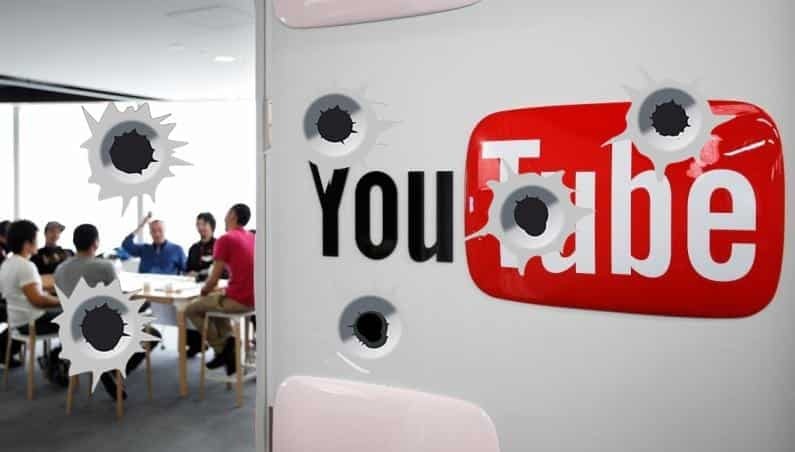 A woman opened fire with a handgun at YouTube’s headquarters in San Bruno, California, on Tuesday, which prompted panic as 2,000 people employed in the office hid and tried to flee into the surrounding streets. YouTube is a video-sharing service owned by Alphabet Inc.’s, Google. The suspect has been identified as Nasim Najafi Aghdam, 39, of Southern California, who wounded four people before shooting herself dead, said two law enforcement officials on the condition of anonymity, as they were not authorized to discuss the case. San Bruno police said in a statement that the suspect did not know the victims when she opened fire on Tuesday afternoon before killing herself. The suspect’s father, Ismail Aghdam, told CBS Los Angeles that she was angry with the company because it had stopped paying her for videos she posted on the platform. Those who post videos on YouTube can earn money from advertisements that accompany their videos. However, the channel has the right to “de-monetize” some channels for reasons such as less than 1,000 subscribers or for uploading inappropriate material. A law enforcement official said investigators believe Aghdam used the name Nasime Sabz online and had a long-running dispute with YouTube. Her website accuses “new closed-minded” YouTube employees of reducing her view count and also criticized YouTube’s policies. It said that YouTube was trying to “suppress” content creators. YouTube had “stopped everything,” and “she was angry”, Ismail Aghdam said from his San Diego home in a telephone interview with the Bay Area News Group. Ismail Aghdam said that when his daughter did not answer her phone for two days, he reported Nasim missing on Monday. He further said the family received a call from Mountain View police around 2 a.m. on Tuesday saying that they had found his daughter sleeping in a car. Katie Nelson, spokeswoman for Mountain View Police, confirmed that they had found a South Californian woman by the same name asleep in a vehicle in a Mountain View parking lot on Tuesday morning and had notified her family. When asked whether police were warned that Nasim might go to YouTube, Nelson chose not to respond to this question. After multiple 911 calls reporting gunfire were reported, officers and federal agents swarmed the company’s headquarters complex in the city of San Bruno. Television news footage showed people leaving the building in a line, holding their arms in the air. Officers patted them down to make sure none had weapons. Todd Sherman, a YouTube product manager, described on Twitter that when he heard people running, he first thought it was an earthquake before he was told that a person had a gun. YouTube employee Vadim Lavrusik posted on Twitter that he heard gunshots and saw people running. He said he was locked up in a room with co-workers before being safely evacuated. Dr. Andre Campbell, a trauma surgeon at the hospital, said at a news conference that three people were brought to San Francisco General Hospital who were victims of gunshot wounds. However, none of them had to undergo surgery, Campbell said. Authorities did not release names of the victims. A fourth person also was taken to a local hospital, who suffered an ankle injury due to fleeing the scene. President Donald Trump tweeted his “thoughts and prayers” to everyone involved. The shooting was the latest in a string of mass killings carried out in the U.S. in recent years. Most recently, the massacre of 17 people at a Florida high school has led to calls for tighter restrictions on gun ownership.